Summer is almost here! Time to shake off the winter blues and head towards your holiday home for some much-needed relaxation and time in the sun. Your summer home can be even more inviting when it is complemented with bright, cheery splashes of colour. After all, you’ve been looking at grey skies for far too long. If your holiday home is sporting dusty, dull, outdated decor, now is a perfect time to liven it up. 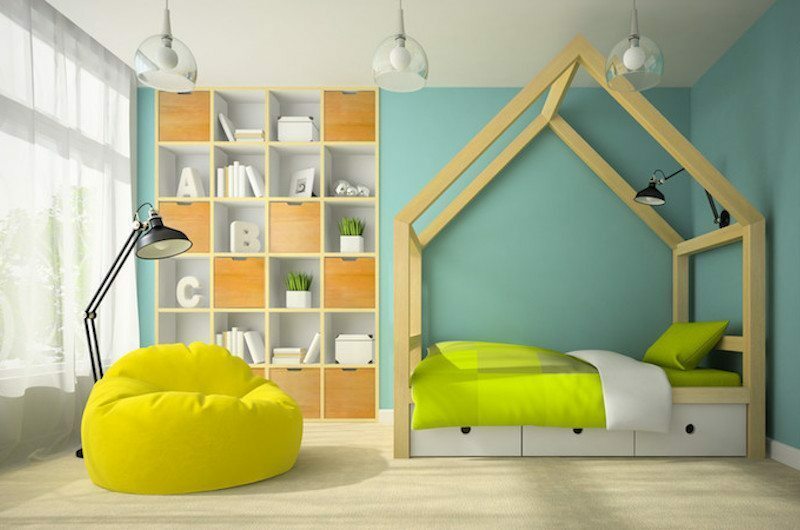 Here are a few tips for getting more colour into your summer living space. Painting an entire room is probably the last thing you want to do on your holiday vacation. Fortunately, it’s not necessary. You can paint a single wall in just a couple of hours, and it will make a striking difference. Choose your accent wall by finding the focal point of the room. If you want to work with existing colours, choose one colour in your decor that stands out. A room featuring neutral colours can benefit from adding a new, bright colour on one wall and accenting it with matching items around the room. If breaking out a paint roller is not something you’re willing to do while on vacation, look for a large, colourful painting or a vibrant piece of wall art to boost the room’s colour. Another quick and easy trick is to add colourful, sheer curtains or Roman blinds to bare windows. If you have a dining or living room set, you have a perfect opportunity to make a colourful area rug a star attraction in your home. Choose a rug that will fit neatly beneath the set with all furniture legs on the rug. If the set features solid colours or plain fabrics, be bold and choose a brightly printed contemporary rug. However, if your furniture has multicoloured upholstery, choose the dominant colour in the fabric, and look for a solid-colour rug to match it. Another easy way to spruce up your space is to place colourful throws and pillows on couches, chairs, and benches. They’re inexpensive, and you can change them quickly if you get bored with them. Choose one or two solid shades to complement your existing decor, and toss flashes of bright colour all over your home. If your living room couch is looking rough after years of abuse, but you don’t want to invest in new furniture, buy inexpensive furniture covers in a bold colour, and add contrasting pillows and throws to make it sparkle. A can of colourful spray paint can vanquish a ton of boredom. You can’t paint your walls or upholstery with it, but you can use it to renovate many objects that you didn’t even realize had potential. Repaint removable wall shelves, planters, old metal wall art, wooden stools, plant stands, benches, bottles and other solid objects in cheerful colours. Transform them into art, and place them proudly on display. Be sure to do your painting outdoors, and don’t bring your new art indoors until the paint odour has diminished. Summer is a great time to bring the outdoors in, so take advantage of blooming flowers or lush greenery on your property. Create colourful centrepieces for your tables, or make space for a small indoor garden in a kitchen window. If you don’t have anything attractive growing on your property, look for discount flower bouquets at your local grocery store. If you want to ramp up the colour, think bigger. Specifically, consider adding some bright, casual accent furniture. A perfect way to make your space more colourful and comfortable is to add a few plump, fluffy and versatile indoor-outdoor bean bags. Their striking colours and airy, freestyle comfort embody the spirit of summer perfectly. Wouldn’t your kids love to relax by the pool in a cool minion yellow or sassy purple bean bag chair? 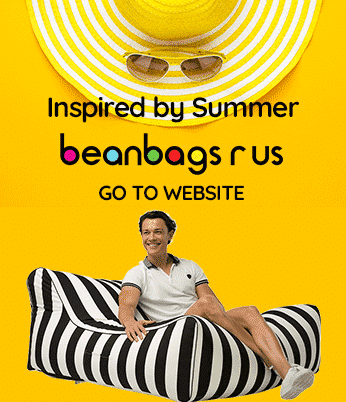 At Bean Bags R Us, our indoor-outdoor range of bean bag chairs is now available in 12 exciting colours to match virtually anyone’s interior or exterior summer decor. Choose the perfect shade from the following, or mix and match to build rooms and patios filled with unique, trendy style. Rooms filled with casual comfort, inspiring colours, and touches of nature improve mood and set the stage for relaxation, romance, and everything else summer has to offer. With a colourful summer makeover, you may find that all of your friends want to hang out in your new and improved summer home. Be sure to have plenty of extra seating and cold beverages on hand.